The faculty are committed to working closely with all MA advisees; so, apart from two common, required courses in the first semester (one on social theory and the other on digital tools) and one in the last (the Capstone Graduate Seminar) many of the classes in this degree are directed reading courses that focus on each student’s research interests. While MA students are able to enroll in 400-level undergraduate courses for graduate credit (doing so by carrying out advanced projects), this is not our preferred model; instead, while also free to enroll in classes outside REL that enhance their expertise, MA students taking courses within the Department will be members of small graduate classes whose members work closely with each other. In fact, in many cases students work one-on-one with a faculty member. This means that MA students in our program not only assist each other but can also be closely involved in a faculty member’s research, can assist with ongoing faculty projects, and can even have the opportunity to co-author and publish peer reviewed scholarship with their faculty mentors, as our second year MA student, Sierra Lawson, did with Prof. Ramey, in 2018 (read their essay here). 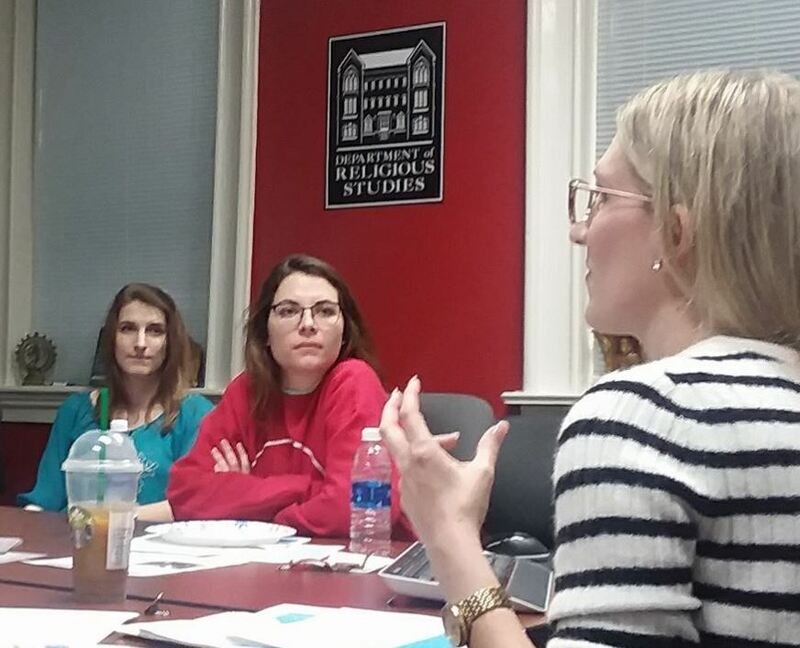 We believe that not only our dual focus on social theory and digital humanities but also this level of proactive attention to student interests and needs, along with our focus professionalizing our students and preparing them for the next step beyond their MA, sets our program apart from all others.